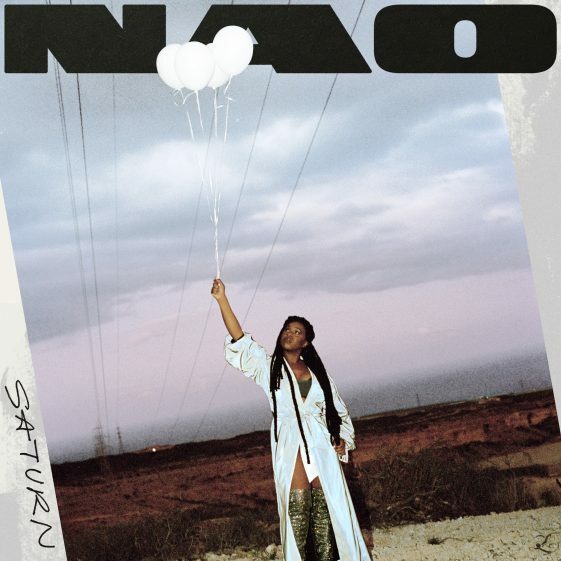 Two years after the incredible ‘For All We Know’, Nao releases her highly-anticipated, absolutely mesmerising sophomore album ‘Saturn’. Listen HERE. Nao elevates into new realms of artistry in this deeply reflective, emotional project. ’Saturn’ is a journey, stemming from a place of both vulnerability and immense power, adorned by masterful musicality and poetic lyricism. Nao tells stories through her music, flowing freely between genres and influences, producing a sound which is uniquely her own and completely unforgettable. ‘Saturn’ touches the soul and leaves no doubt that the phenomenal songstress is a true and complete artist – captivating, pioneering and absolutely unmatchable. The singles ‘Another Lifetime’, ‘Make It Out Alive’ ft. SiR, ‘Curiosity’ and ‘If You Ever’ ft. 6lack have been collecting praise from fans and critics alike, making the album one of the most eagerly-awaited releases of this year. Nao also announced her world tour. Starting off in Japan, she will then go on to perform in North America and Europe, concluding with a show in London’s Brixton Academy on March 28th.